I owe this recipe to a very special person that I miss dearly. My mentor and great friend, the late Paxton Mills. Paxton and I worked together in Denver. He was a phenomenal on-air talent and a great cook. I could never figure out why he made the greatest salmon I had ever taste in my life. His son Matthew finally shared his dad’s secret with me. 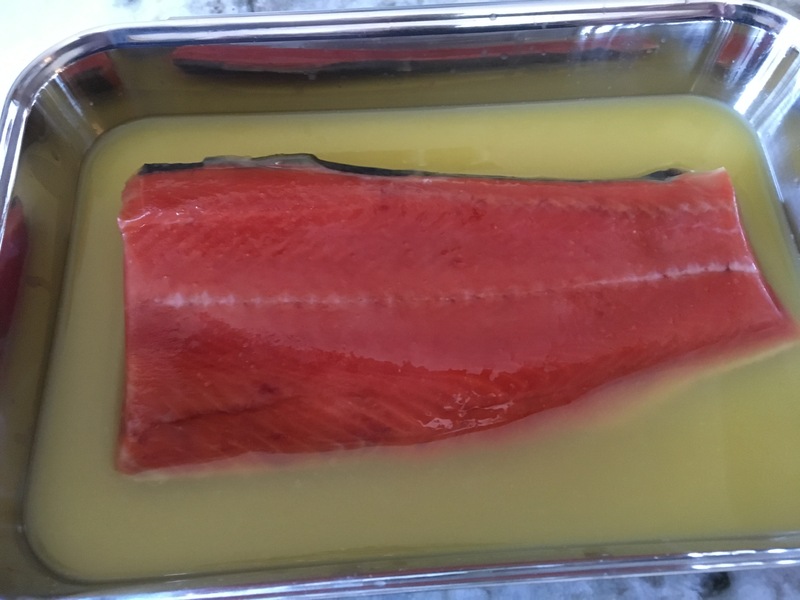 He would marinate his salmon in a 50/50 mixture of orange juice and maple syrup before he put it on the grill or smoker. Not overnight mind you (Then you’d have ceviche’) The acidic level in the OJ will actually cook the fish. I marinate for a couple of hours. 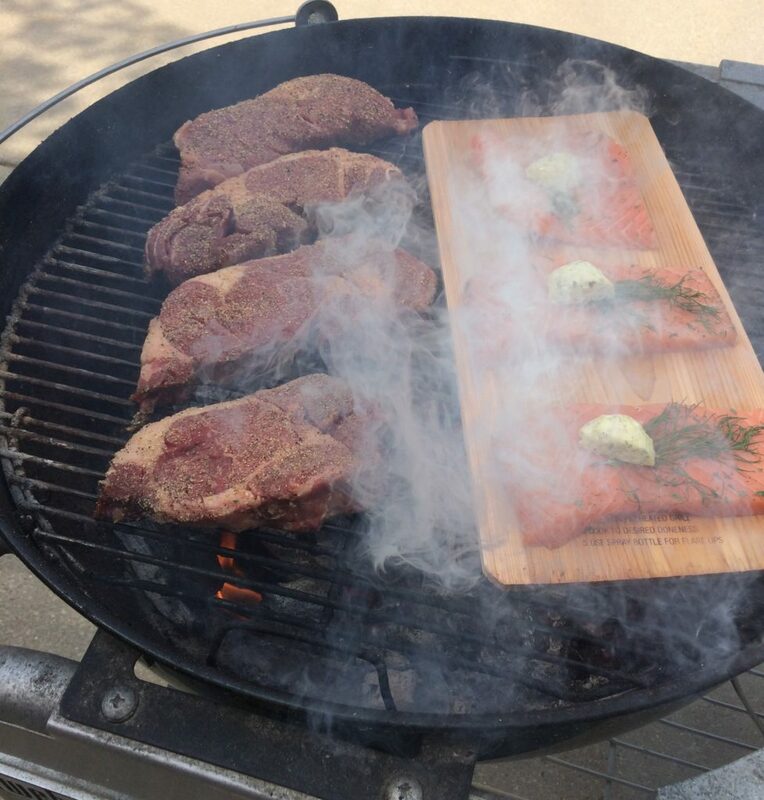 I also love salmon cooked on soaked cedar planks. Put them on a rimmed sheet tray and soak in water for two hours so they don’t burn. Flip over after 1 hour to make sure plank is fully saturated. Place the fish on the plank and place directly over the coals. When the internal temp of the salmon reaches 145’ on an instant read thermometer, you’re done! There are some deviations from Paxton’s original recipe. I use only Michigan maple syrup and my first choice to up the flavor is another local product. Blis whiskey barrel aged maple syrup. 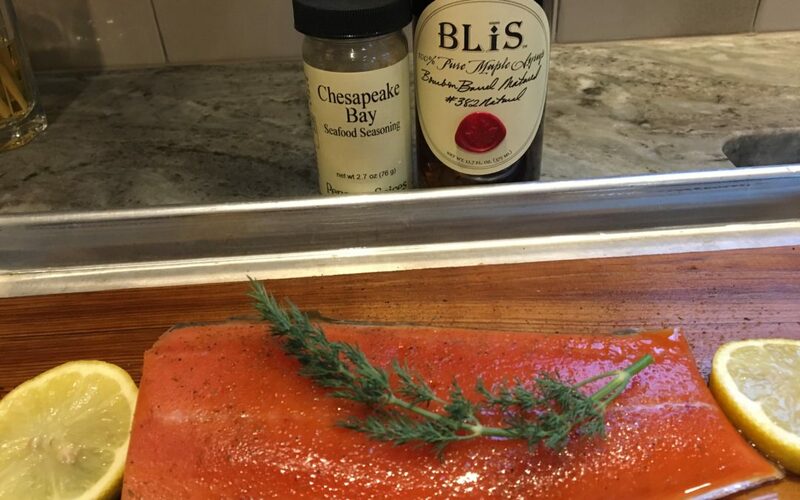 I also love the Wild Alaskan Sockeye Salmon available at Byron Center Meats.Finally, my favorite seasoning for seafood is a Penzey’s product called Chesapeake Bay. Give these ingredients a try. You’ll never go back.